French Environment Minister Francois de Rugy was due to fly to the area to "ascertain the damage, and see what measures are being implimented to contain potential pollution," his staff said. 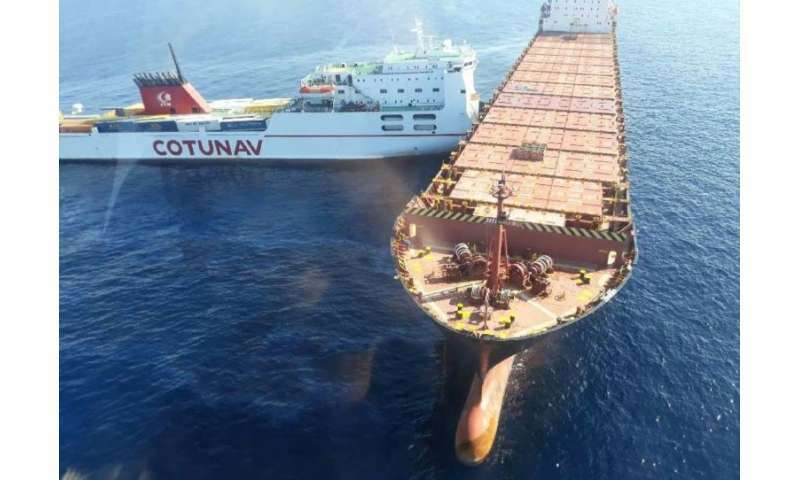 The ship's hull was pierced and at least one fuel tank began leaking into the sea off the holiday island of Corsica. It was earlier mistakenly reported that the pollution affected the nearby Cap Corse and Agriate marine reserve. Another boat from each country was due to join them shortly and clean-up operations were expected to last several days. "Pushed by the wind, the spill has spread and is breaking up", a spokesman for maritime authorities said Monday. An investigation has been launched for "pollution" brought on by a "maritime accident", Marseille prosecutor Xavier Tarabeux said. He also called for "absolute vigilance in preventing eventual pollution."